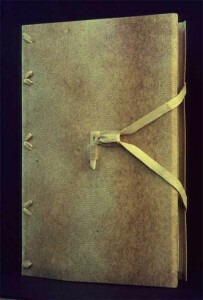 He was in Florence when Frazer Poole (Fig 22) invited him, Peter Waters and Don Etherington to help set-up a new Preservation Department at The Library of Congress, Washington DC. 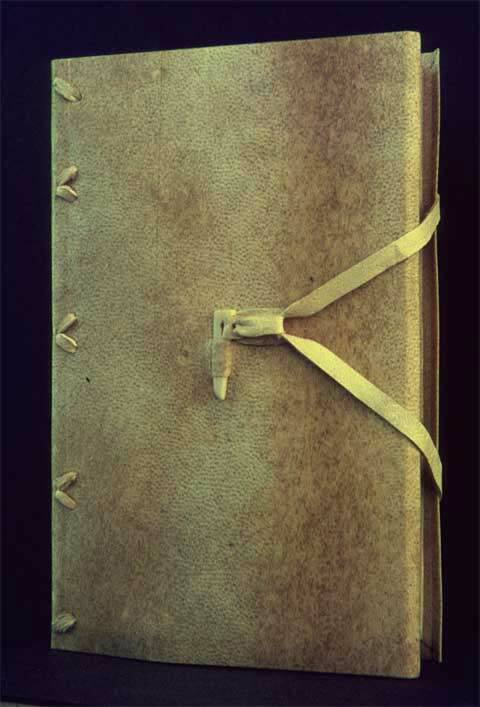 He returned to England to sort his affairs, marry Oonagh and rebind for the BNCF many small format books sent to Roger Powell’s studio for repair, Chris rebound many in his various styles of limp and semi-limp vellum binding (Fig 17). It was over the Christmas of 1971, just before Chris left with his wife for America, that Roger Hill, a filmmaker who taught at the Royal College of Art, recorded Chris’s binding methods on film.